On June 28th, 2012, Bill C-26 (also known as) the Citizen’s Arrest and Self-defence Act, received Royal Assent and came into force on March 11th, 2013. The bill has expanded on the citizen’s arrest powers and reformed the law with respect to the self-defence and defence of property provisions in the Criminal Code of Canada. Looking first at the changes to the citizen’s arrest power, Bill C-26 has amended section 494(2) of the Code by authorizing a private citizen to make an arrest within a reasonable period of time after he or she finds someone committing a criminal offence that occurred on or in relation to their property. This expanded power of arrest granted in the new law will only be authorized when there are reasonable grounds to believe that it is not feasible in the circumstances for the arrest to be made by a police officer. 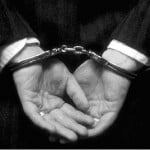 Prior to the change in legislation, a private citizen was only permitted to make an arrest if the perpetrator was found committing a criminal offence on or in relation to that private citizen’s property. The amendments to the section now eliminate the requirement that the offender be caught in the criminal act as long as he/she is apprehended within a reasonable time after the offence is committed. Bill C-26 also changes the self-defence provisions of the Criminal Code. Sections 34-37 of the Code have been repealed and replaced by one new self-defence provision. The amendment now permits a person who reasonably believes themselves or others to be at risk of the threat of force, or of acts of force, to commit a reasonable act to protect themselves or others. Amendments to the defence of property provisions have also repealed sections 38-42 of the Criminal Code in favour of one new defence of property provision. The new provision permits a person in “peaceable possession” of a property to commit a reasonable act (including the use of force) for the purpose of protecting that property from being taken, damaged or trespassed upon. Prior to these amendments, the self-defence provisions dealt with a person who used force to protect himself or another from attack depending on various aspects of the particular situation, such as whether they provoked the attack or not and whether they intended to use deadly force. The new amendments clarify and streamline our self-defence laws by no longer requiring the accused to pigeonhole his actions into one of the many (and often confusing) self-defence sections in the Criminal Code. Despite the significant changes to the law of self-defence and defence of property, Bill C-26 does not make any changes to the law with respect to the use of deadly force as it relates to self-defence or defence of property. In Canadian law, the use of deadly force is only permitted in very exceptional circumstances – for example, where it is necessary to protect a person from death or grievous bodily harm. Canadian courts have clearly stated that deadly force is not considered reasonable in defence of property alone.